Welcome to the home of Bath Comedy - for both the Spring time Bath Comedy Festival and events throughout the year. 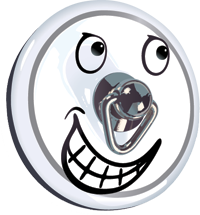 The 8th Bath Comedy Festival will run Friday 1st April - Sunday 10th April 2016 and announcements will start to appear in late 2015. In the meantime see below for details of our forthcoming one-off shows, as well as news and reviews from this year's festival. Sign up to the e-mailing list to be among the first to know what's happening next! 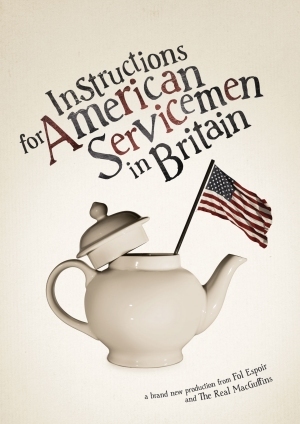 An instant hit when it previewed as a work in progress during Bath Comedy Festival, this wonderful show is back in it's complete touring version! 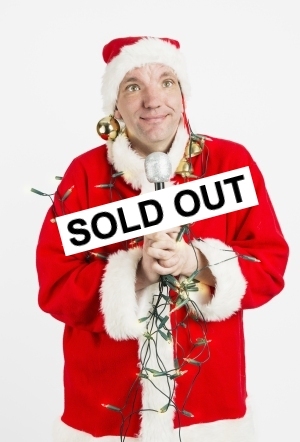 A rib-tickling show for adults and families. Starring Silky & special guests Paul Revill and Angie Belcher. The latest in this popular series of comedy shows in the Festival's spiritual home of Widcombe sees an evening of comedy, music and stand-up poetry. It's about time someone told grown-ups to behave themselves. Who better than kids? A big kid. Silky. £6 ticket includes chicken nuggets or sausage and chips! (All ages welcome, adults free entry). There's more comedy coming your way very soon! Sign up to the mailing list to be one of the first in the know! This is the seventh year of the comedy festival and promises a very exciting programme! 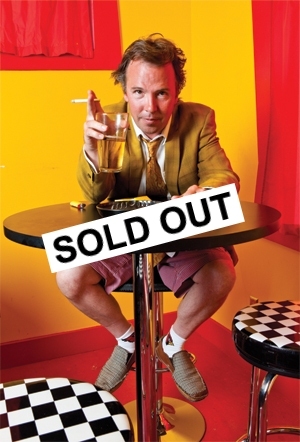 The 7th annual Bath Comedy Festival is the biggest to date, with over 100 events lined up! Read an overview of the Festival here. See the what's on diary pages for full information and booking links for all events. Second place went to Phil Cooper and third place was shared by Aideen McQueen and Jay Cowle. Prizes included £200 cash and a vibrant canvas artwork of Les Dawson from iconicomedy for the winner, bottles of Handmade Cider Company cider and Bath Comedy Festival t-shirts. 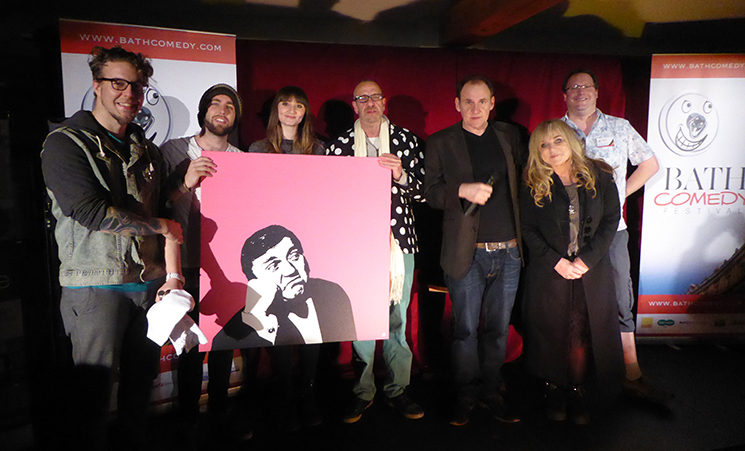 Pictured (left to right): Phil Cooper, Jay Cowle, Bethan Roberts, Arthur Smith, Geoff Whiting, Helen Lederer, Nick Steel. Congratulations to all the finalists and thanks to competition organiser Geoff Whiting, Mirth Control and judges Alan Nixon, Graham Smith, Jill Edwards and Helen Lederer. We're delighted to announce that comedienne, actor, presenter and author Helen Lederer has agreed to join our esteemed group of Festival Patrons. Helen joins existing patrons Angela Vick, Arthur Smith, Barry Cryer OBE, Sir Peter Hendy CBE, Ralph Oswick, Robert Brinkworth and Terry Jones. On Easter Sunday 5th April Monty Python star Terry Jones received the first ever Bath Plug Award for services to comedy over almost fifty years. Terry was a guest of the Bath Comedy Festival at a showing of his film The Wind in the Willows at the Little Cinema. Mr Jones took part in a question and answer session presided over by local comedy historian, Jem Roberts, which covered everything from experimental films at Oxford right up to his new blockbuster 'Absolutely Anything' starring Simon Pegg. Following the talk, there was a special showing of Monty Python and the Holy Grail, which Terry Jones co-directed with Terry Gilliam. The presentation of the Bath Plug Award, which consists of an engraved bath plug on a purple silk ribbon, is to become an annual event and will be awarded to individuals considered by the organisers to have made a significant contribution to British and world comedy. Terry Jones is a patron of Bath Comedy Festival. In a separate ceremony, comic actress Helen Lederer was inducted into the list of patrons which include Arthur Smith, Barry Cryer, Ralph Oswick and Sir Peter Hendy and other local Bath supporters. 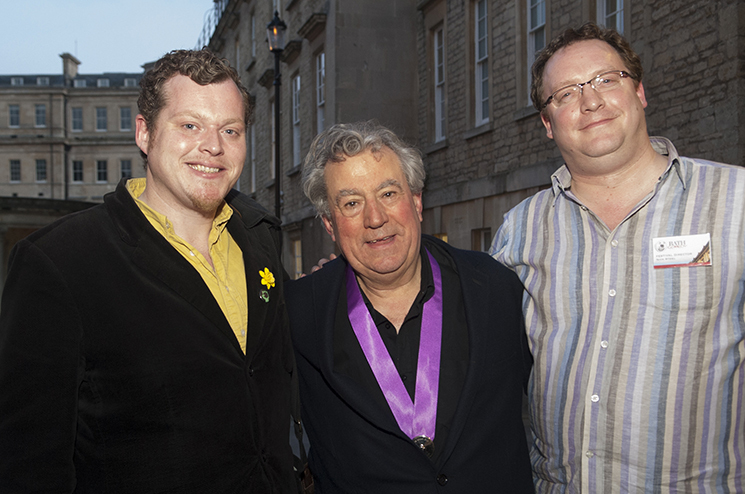 Photo shows Terry Jones receiving the Bath Plug Award from Comedy Festival director Nick Steel and historian Jem Roberts. We asked several of this year's performers about their lives, inspiration and shows. Click here for their answers. Check out what the magazines are saying, including an interview with Nick Steel in Bath Life. Click here. The 2014 web site has been archived but is still available to view here.